"Separate from the earnings calls, Kotaku’s Jason Schreier reports that Activision will take control of ” a hefty chunk of [Bungie’s] stock” if the developer isn’t able to bring Destiny 2 to market by the end of the year." In other words, Destiny 2 is coming out this year and Bungie will develop DLC to support it, as it did with the first game. Other than that, we might have to wait until E3 2017 to get the full scoop, as Bungie isn’t going to make the same mistake it did last time and announce a game that looks nothing like the final product. Separate from the earnings calls, Kotaku’s Jason Schreier reports that Activision will take control of ” a hefty chunk of [Bungie’s] stock” if the developer isn’t able to bring Destiny 2 to market by the end of the year. 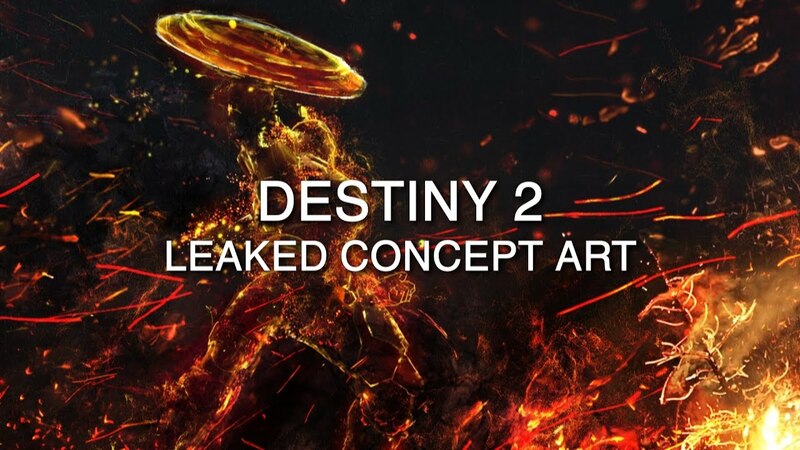 Previously, Schreier also revealed through sources that the sequel will be released for consoles and PC, and that players might not be able to bring their Destiny characters over to the sequel. Activision and Bungie have played their cards very close to their chest – so, as of yet, there are very few confirmed features. However, there are a few things that are nailed on. Gamers will be glad to hear that the developers are placing more emphasis on the story and characters this time around. "The cornerstone...is a great cinematic story," Activision exec Eric Hirshberg said earlier this year. "That's been a real focus with a great cast of memorable, relatable characters.” Bring it on. This is hardly unexpected given the success of Destiny’s myriad updates and add-ons, but Activision has confirmed that it has “follow-on content plans” for Destiny 2. That likely means the team will be listening to players and tailoring the future experience – expect fresh content, gameplay changes, and cosmetic add-ons. ‘Casual’ has become a bit of a dirty word in some gaming circles, but Activision and Bungie are clear about their intention to make their game more open to all. "We've made it more accessible to someone who just wants to have a great more casual first-person action experience... without losing anything that our core players love,” Hirschberg said. What that means in practice is not clear, but we hope it means a game with less grinding and more varied gameplay. We don’t know how Destiny 2 will handle player’s Guardians from the first game (more on that in the rumours section below), but we know there will be some continuity. “That idea is that the Guardian you have created is something you can bring along with you on that adventure,” Community Manager David Dague told IGN in 2014. “If you take a look at the way people have played other games for a long period of time, they’ve had a relationship with the same character for a very long time.” Intriguing. A game with this much hype always attract a deep well of rumours – and the gaming community has not disappointed. Here’s a round-up of the most plausible ones (in order of plausibility). Destiny 2’s main antagonists will be the Cabal, the war rhinos that featured in the first game, rumours suggest. First, we have a report from industry insider shinobi602, who has called things right in the past. He/she says the Cabal will be a “major focus” - and that is backed up by the unlikeliest of sources: Mega Bloks toys. A toy appeared on Amazon showing the Cabal battling Guardians in the Tower, the player hub from Destiny that saw no combat at all. One to watch. One from Kotaku and shinobi602, who both say that Destiny 2 will contain more detailed hub areas bustling with activities. “They're going to do more open playspaces that incorporate towns, outposts, etc into more common areas,” says shinobi602, while Kotaku has a name for these spaces: “play-in destinations”. These will make Destiny 2’s planet areas “feel more populated with towns, outposts, and quests,” the report said – which would be welcome. Shinobi602 says the game will be largely set on Saturn, which will be bigger than all of the areas in Destiny 1 combined. This has not been confirmed by other sources. Destiny 2: Forge of Hope? This one has been straight up denied by Bungie, but they do have a history of rubbishing rumours that go on to be true. Reddit user Inside_Leaks, claiming to be a Bungie insider, said that the game will be called Destiny 2: Forge of Hope. The game will be built with a whole new engine, and will be a console exclusive to PS4 for three months. It’s worth taking with a pinch of salt, as no other sources have backed up the information. Thought Destiny was a good 10 year game, lolz. Bet they make the same mistaks again. Unfortunately, I'd take that bet too. New coat of paint, same underlying problems. Give me the current game with 60fps and dedicated servers and I'm a happy camper. I really like the direction Destiny has gone since launch. I'm interested. Especially if it's a fresh start for everyone. Just give me matchmaking for everything, raids included. You mean 3 years of content? Sign me and millions up! Where is all the Destiny hate coming from? I rather enjoyed the game. Late adopters reaped the benefits. Lots of early adopters bought the hype of a hot date and got blue balls. It was hyped as the Star Wars of gaming and so avante guard it could not be catagorised in genre. Finally Bungie free of Halo could allow their creative freedom flow. That flowed into a poor Halo clone that still really really looks like Halo minus the awesome (or any) campaign and characters, vehicles or combat. Or splitsscreen. Or 60fps or matchmaking. Stack on top a content lite initial release followed by over priced "expansions" with equally lite content. Micro transactions added later (because they couldnt finish the big expansion on time). This is not to mention the delays, company employee exodus, troubled development and company infighting that saw Marty ODonnell (wrongfully) fired to recoup lost money from missed milestones. Ironic as the Music was Destiny's best aspect. Its a huge clusterf***. Today 1000 people are working on destiny 2...roughly 5 times the number that made Halo Reach and ODST concurrently....and 968 more than Halo 1. Yet Destiny 2 will still be half what those games are. It has matchmaking. Destiny has plenty of problems but the combat is not one of them. NEWS FLASH: Not everyone has the same tastes in games. I played Destiny early when it sucked and never went back. They lost me early on. If you like it then enjoy the time sink, nobody is holding you back. They never got a Year 1 Gjallarhorn. The game was really fun. But many got burned with the loot system early on, no raid matchmaking and content was thin. I was hooked for well over a year and most of those issues were resolved. I haven't played in a while but I don't think there's raid matchmaking which they should add. You get sh!t players from LFG just the same so no reason why in-game matchmaking shouldn't be there at least for the sequel. I bought the game at launch, got bored and shelved it after a month. Came back after Taken King (one of the bigger expansions) and the game was a new experience. All the fun of a loot based game with FPS combat that still feels great (in spite of the framerate). I still play nearly every day, while other games pile up and collect dust. I am addicted to the pve and pvp. Definitely worth a second look if you got bored after launch. If its as good(or better) as Destiny has been the last few years...I expect record breaking sales. What I Played was an empty soulless game that required countless updates and dlc to get half way close to what was promised. It was never going to live up to the launch day hype. I think that's one reason I liked it so much - I did not follow the hype and didn't even try the beta. I didn't buy on launch day, but waited a bit for people to talk about it more. The hype was the killer. I have to give it props that it did get really close to nailing it. I loved the RFP/FPS hybrid style of gameplay and I also loved the environments and the "feel" of the game. The customization and loot drops (once they tweaked it) was also great. Honestly, the music for me was one of the most memorable things as I thought it was epic. I have high hopes for Destiny 2. I think this time around they bring it all together at the start. Some people enjoy COD so I've heard crazier things. This is what happens when you post at work. An RFP is a request for proposal. I've played through the original game I think three times, two of which include Taken King. Haven't played the newest expansion yet. That said, I did enjoy the game but I won't pretend I'm not a little disappointed in how it turned out. To me, Taken King should have been the basic game. The original launch version when taken alone is very disappointing and if the second game is like that then I'm waiting until a more definitive version. Hopefully it is on PC as well as I would rather play it on that. Also not sure how this is supposed to take place on Saturn. Same here. Played it at launch and it was decent but i just couldn't stick with it. Coming from real MMO games, it just felt like a waste of time to me. Solid game and i'm sure it got better as time went on, but just wasn't for me. Who knows with Destiny 2.